Media professionals have been urged to uphold journalism ethics and values of balanced, accurate and objective reporting which are the hallmarks of the media as an unbiased umpire. The Hon. 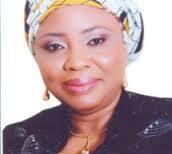 Commissioner of Information, Kogi State, Hajia Zainab Okino made the statement today, Wednesday, November 12, 2014 in Lokoja, Kogi State, while declaring open a two-day workshop on Effective Coverage and Reportage of 2015 General Elections. The workshop organised by the Nigerian Press Council is with the support of the Democratic Governance for Development (DGD) Project II of the United Nations Development Programmes (UNDP) and other donors such as the European Union, UKaid, Canadian International Development Agency, Korea International Cooperation Agency. The Commissioner said that Media professionals should always be guided by the noble creed of the Journalism profession which states that “Comments are free and facts are sacred”. She pointed that Nigeria was at the threshold of another general election and as usual, the expectations of the public on the roles of the media as a watchdog in the onerous task of the enlightenment and dissemination of information on vital and critical areas such as credible, free and fair election is not only challenging, but equally demanding. The Honourable Commissioner also noted that at this crucial time in Nigeria’s democratic journey to usher in another crop of elected political office holders, the role of the media in educating the people on the electoral roadmap to the 2015 general election cannot be underestimated. She applauded the Nigerian Press Council, United Nations Development Programmes for helping nurturing and strengthening democracy and in galvanizing the citizenry on the much needed compass and guidance to improve the electoral process. Earlier in his welcome remarks, the Acting Executive Secretary, Nigerian Press Council, Mr. Nnamdi Njemanze underscored the importance of the workshop which is aimed at sensitizing participants on how best to cover the electoral processes towards making the 2015 general elections a success. He stated that the workshop was the fourth in the series of workshops for journalists to be held in the six-geopolitical zones of the country. The same workshop, he added had been held in Enugu, Bauchi and Kaduna. The Ag. ES said that journalists as Media professionals, were not only to be challenged about their duties, or obligations in the Constitution, but also to be reminded of the guidelines in the Electoral Act and the Code of Ethics of Journalism as the compass for monitoring the electoral process. He reiterated the call that a period of elections is the time for citizens to take full advantage of the two main universal principles of human rights: The right to freedom of opinion and expression and the adult right to vote and be voted for. The plenary session of the brain thrust started with a paper titled “The Role of the Media in Nigeria Electoral Process” delivered by Dr. John Bamidele Ige. While the second paper in the first day titled “Objective reporting: Panacea for Free and Fair Election” was delivered by Mr. Yusuf Alli. The workshop which enters its second day on Thursday, November 13, 2014 has as its objectives, the sensitization of journalists on ethical principles guiding election reporting and coverage; strengthening the capacity of journalists to monitor elections and report them effectively; and to ensuring adherence to professionalism as a deliberate means of entrenching democracy and by extension good governance in Nigeria. The workshop is organised for journalists in the North-Central states of Benue, FCT, Kogi, Kwara, Nasarawa, Niger and Plateau. ‹ COMMUNIQUÉ OF THE TWO-DAY WORKSHOP ON EFFECTIVE COVERAGE AND REPORTAGE OF 2015 GENERAL ELECTIONS, ORGANIZED BY THE NIGERIAN PRESS COUNCIL WITH THE SUPPORT OF THE DEMOCRATIC GOVERNANCE FOR DEVELOPMENT PROJECT II OF UNDP AND OTHER DONOR AGENCIES – EUROPEAN UNION, UKaid, CANADIAN INTERNATIONAL DEVELOPMENT AGENCY, KOREA INTERNATIONAL COOPERATION AGENCY, HELD AT THE ASAA PYRAMID HOTEL, KADUNA, KADUNA STATE, FROM MONDAY, SEPTEMBER 15 TO TUESDAY, SEPTEMBER 16, 2014.